With Acrobat 9, Adobe continues to evolve the venerable PDF from a simple paperless document into a collaborative hub for many forms of digital communication. In Acrobat 9 Pro Essential Training, Brian Wood explores the many new and enhanced features in version 9 of Acrobat Standard, Acrobat Pro, and Acrobat Pro Extended. 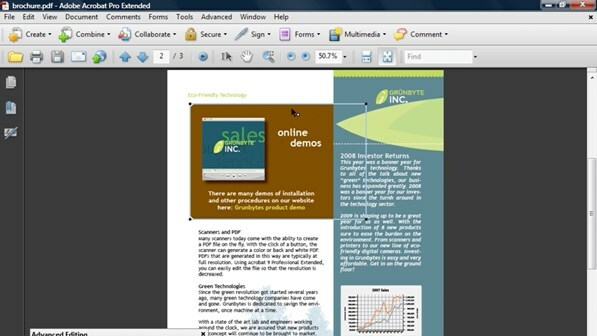 He demonstrates different ways to create and modify PDFs, including the enhanced OCR tool, and shows how to combine them with other files into a PDF Portfolio. Brian covers collaboration in detail, including the new Collaborate Live and Shared Review options. He also investigates redaction and other security features. Example files accompany the course.